It's been a while since I have posted! At the end of the summer I bought some new supplies, for instance Deluxe Materials Scenic Water and Scenic Colours, but I have not tried them yet, because, to tell you the truth, I forgot about them soon after I had bought them! And then, the other day as I was going through the disorganized mess of things on my craft table, I came across these two packages and I was "Oops! What do I have here!?" Well, I think that many crafters have a lot of supplies they are not aware of, don't they? 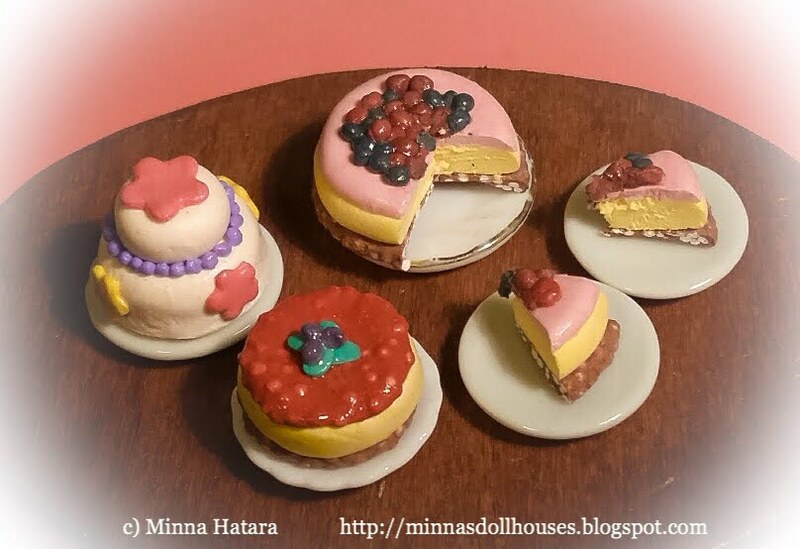 Anyway, I have been doing some miniature baking. Here are some cakes, pastries and sandwiches. They are all made from air dry silk clay. As I have mentioned before, I love working with this soft air dry clay. 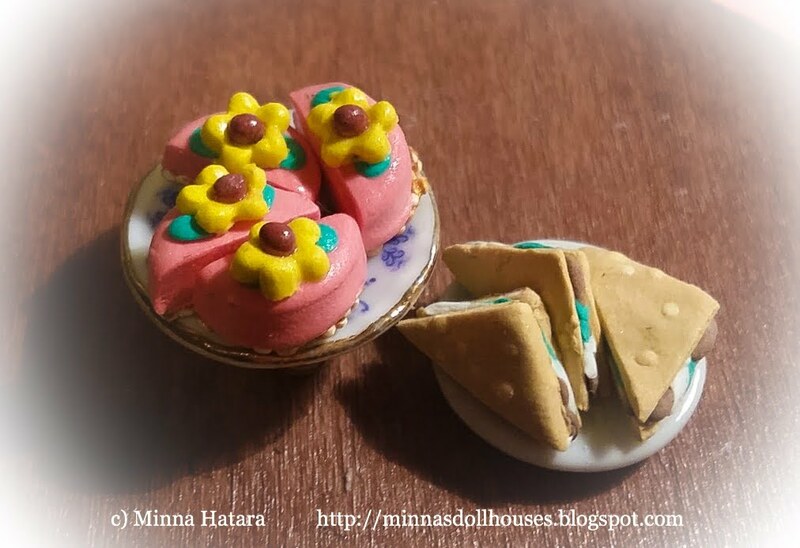 It is very good for making miniature food.